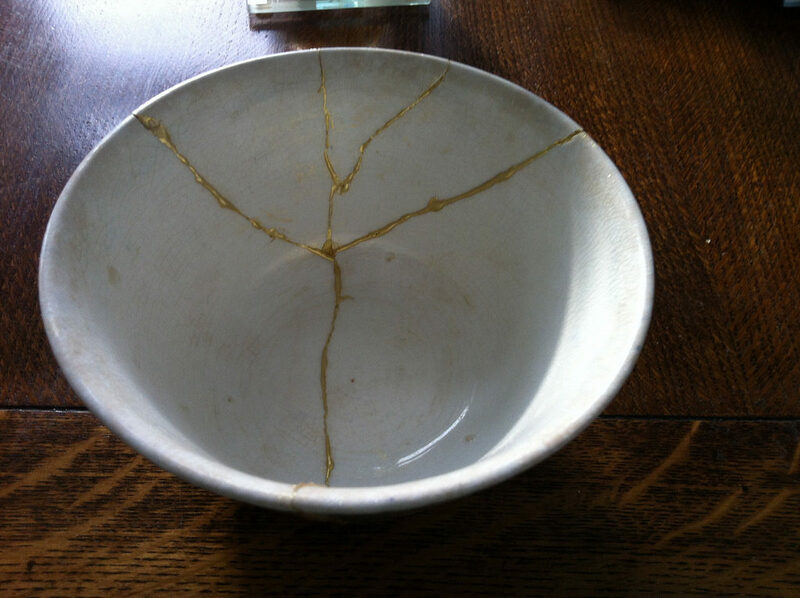 Kintsugi is a Japanese technique that involves mending broken pottery with exotic lacquer – usually a gold alloy. The cracks and imperfections are highlighted, while at the same time being repaired. When a bowl, teapot or precious vase falls and breaks into a thousand pieces, we throw them away angrily and regretfully. Yet Kintsugi highlights and enhances the breaks thus adding value to the broken object. By repairing broken ceramics it’s possible to give a new lease of life to pottery that becomes even more refined thanks to its “scars”. Kintsugi reminds me of the story found in John 20 of Thomas, the Doubter, who refused to believe Christ had truly raised from the dead until he could place his fingers in the holes in Jesus’ side and hands. Despite being raised from the dead by the power fo the Holy Spirit, Jesus retained his scars, and it was those very scars that proved to Thomas, Jesus’ true identity. What if, instead of hiding our doubts and fears and trying to present ourselves as doubtless or unbroken, we chose to share those doubts and fears with one anther? Perhaps our battles with doubt and faith best reveal where we are on our faith journey. Kintsugi shows us doubts, fears and brokenness is not something from which we must run and hide. Instead, it calls us to face them so that Christ can fill them.